Watch Type of Watch Does Santa Wear? I hope everyone has their letters written and sent to Santa so that he has lots of time to find that perfect gift for everyone on your list. One thing that we overlook at this time of year is, How does Santa manage to navigate and stay on schedule to deliver all of those gifts on time?? Since Santa does not give any interviews, I did some research and made a few calculations as to what Santa needs to do get his job done on time. 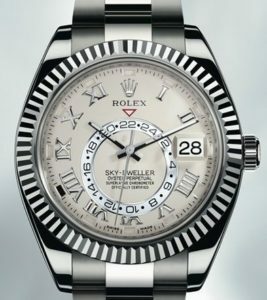 Santa may wear a Rolex Sky Dweller with its timeless style and beauty. Santa has always been up on the latest fashion, so why not wear the finest watch in the world. 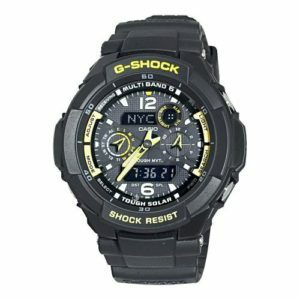 This Casio G-Shock might be the perfect Aviation watch for Santa. With just the press of a button at the 9 o’clock position and your watch will immediately go to your Digital Compass Mode to show you the way. In addition, bearing memory allows you to store, display it in any direction reading so as to use it as a clear reference. Other features include temperature and range measurement, extra large numerals, perfect for Santa to operate while wearing gloves. How about a Rolex GMT one of the finest aviation watches ever made, a classic that is a perfect fit for the “Man who has everything”. The classic white dial is a perfect match for his beard. 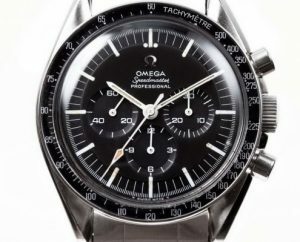 How about a top of the line Chrongraph to time every stop. 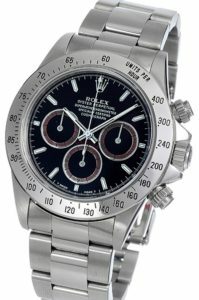 A Rolex Daytona or Omega Speedmaster would be my choice. 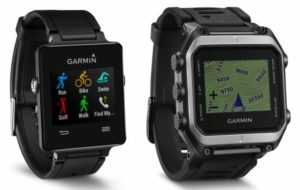 How about a Garmin GPS watch? Perfect for navigation through all of those time zones. Santa can’t afford to get lost, he is on strict time schedule. Maybe a Fit Bit that can track all of his steps and also keep and eye on how many calories he burns up and takes in while he eats all of those cookies. Does Santa still rely on Rudolph and his bright shiny red nose to see through the night, or has he updated the sleigh with new radar and infrared navigation equipment?? This has been a closely guarded secret over the years, I can’t come up with a firm answer, but I know Santa is quite loyal to his team, so I would bet Rudolph still has a major role to play. 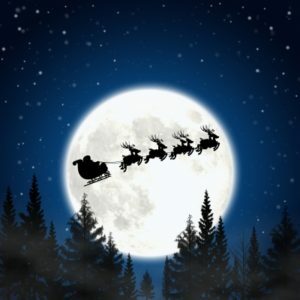 Lets hope that Santa will have another safe journey this year. With all the turmoil in the world, I think we all need a bit a good news and a sense of humor to get off to a good start in 2018. Here is wishing everyone a safe and peaceful New Year. With your closing comments, Mark, I couldn’t agree more. “Happy Christmas,” everyone and a safe and peaceful 2017 to you all. 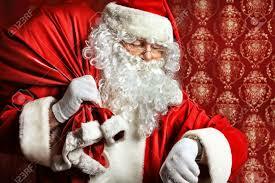 Come on Mark….Santa wears an Audemars Piguet Royal Oak Grande Complication in platinum. Wishing you a Merry Christmas and a healthy New Year! Mark, always love your interesting articles. Positive, fun and a nice change of pace from all the bad news we are bombarded with. Keep it coming. Peace and God’s blessings to all. Merry Christmas Mark, to you and your family. Best wishes for a prosperous 2017. Thank you Mark, I wish you the same! Thanks for the nice comments. No plans for a radio show, but I have thought about doing some videos of how repair a watch. Good project for next year! Great deal of knowledge from the Master Watchmaker,Mark you have serviced all my collectables well. Merry Christmas, Mark! Leo and I send our thanks and blessing to you and your family. Great Christmas message. I don’t know when you find time to do all of your research but you sure know how to keep us interested. Have a Great New Year…. Merry Christmas to all of your folks and you too Mark!!!! Great article as always!!!! Merry Christmas and Gob bless to all. Thanks for the interesting postings Mark. Here is hoping for a safe and prosperous New Year to all of us. Funny nobody mentioned a Breitling Chronograph, another pilot watch! Merry Christmas and a Happy new Year. Keep up the good work. Happy New Year to you and a prosperous 2018! And thank you for your service to the watch-wearing public. Santa doesn’t really need a watch, he only needs a calendar. Remember he works only one day a year (unless he has a side hustle he isn’t telling Mrs. Claus about). He also has a slight problem with the FAA. No multi-engine rating, operating with unapproved fuel, excessive exhaust emissions, no registration, no airworthiness certificate, no evidence of maintenance records, no evidence of pilot certificate, no medical exam (FAA isn’t sure if he’s doing this for fun, which would mean he needs only a multi-engine rating and either a third class medical or basic med, or if he’s doing this for a living, which means he needs a commercial license as well as the multi-engine rating and a second class medical), no evidence of biennial flight review, doesn’t meet currency requirements for night flight (unless he does periodic training flights during the year), no transponder, and fortunately ADSB won’t be required until 1-1-20, so he’ll be OK for two more years, then he’ll have to pawn his Rolex to buy the equipment so he can operate in controlled air space, there is also a possible issue of exceeding the maximum allowed airspeed below 18,000 feet since he visits millions of homes in one night so his time-in-transit must be in the microseconds. If he goes over 18,000 feet MSL, he needs an instrument rating. The FAA also has a problem. If they grant Santa waivers from any or all of the above, every other pilot in the country will be marching on FAA headquarters with torches and pitchforks because they’ll want the waivers, too. If they don’t grant Santa the waivers and ground him forever, then every child and every parent in the country will be marching on FAA headquarters with torches and pitchforks. Keep up the good work, Mark! And happy holidays! Mark. 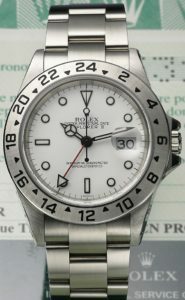 The picture under Rolex GMT is actually an Explorer II. I know because I have both. Merry Christmas! Really cute. Great thought went into this blog… Very well done. Hope you had a great Christmas with your family and are looking forward to a Super New year.